PROMISE KEPT: Gov. 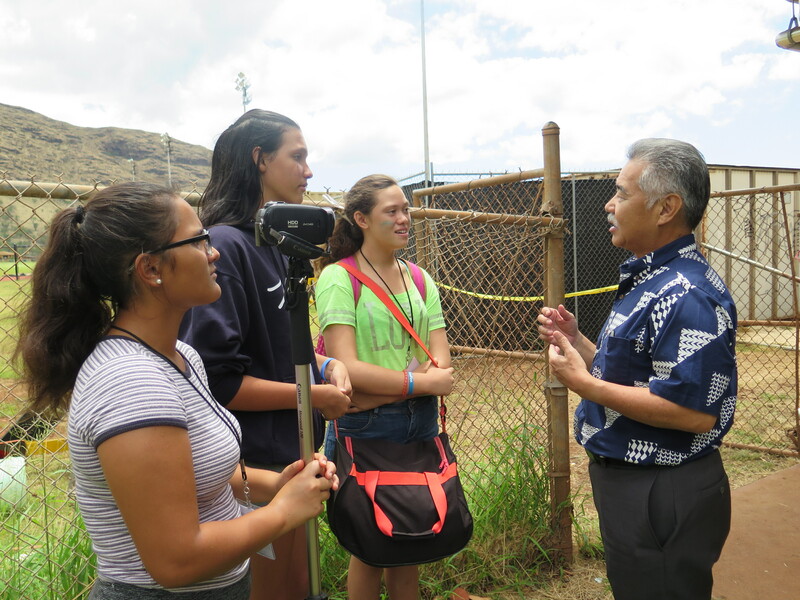 Ige with Nanakuli senior class president Tala Ealim, DOE superintendent Christina Kishimoto and assistant superintendent Dann Carlson. For students and teachers at 88 public schools on five islands, learning became a lot easier this fall, thanks to Governor Ige delivering on his promise to air condition 1,000 classrooms with a $100 million legislative appropriation. In addition, the Department of Education said 323 more AC units will be installed by the end of September. COOL SCHOOLS: Nanakuli High students interview the governor. 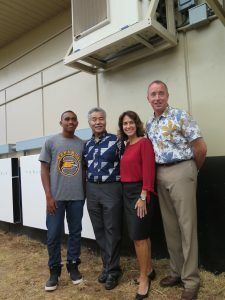 Instead of traditional AC units, the DOE chose energy efficient solar-powered systems, along with other heat abatement strategies, to prevent increasing utility bills and overtaxing the schools’ electrical grid. The governor announced his plan in his 2016 State of the State address after hot classrooms made conditions extremely difficult for students and teachers to function.